Before bringing any pet into the classroom, it’s crucial that teachers do their research, say animal welfare experts. According to the Humane Society of the United States (HSUS), busy, noisy classrooms can be stressful, and small animals can be very adept at hiding symptoms of illness or injury. This can be a lifesaving attribute when trying to avoid predators in the wild but is less than ideal in a setting where children are present say HSUS experts. Even accidental rough handling can cause an otherwise social animal to become timid and defensive. While certain types of animals can make good classroom pets, many species are not suitable for the school environment. For example, birds tend to be sensitive to drafts and changes in air temperatures and hamsters are nocturnal and may be sleeping during the school day. 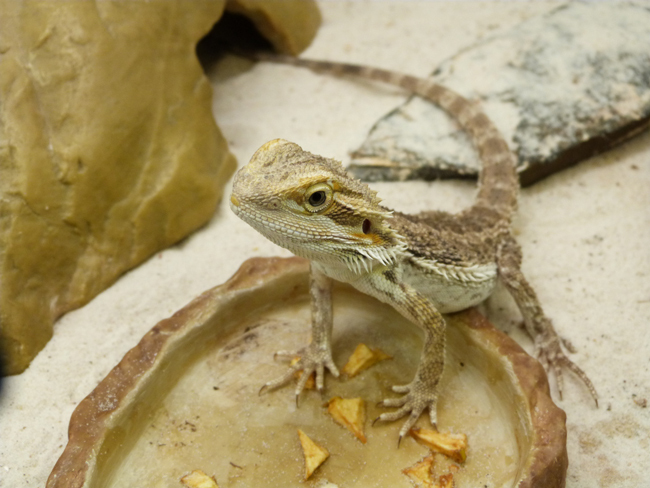 HSUS experts believe that reptiles, such as lizards, snakes and turtles, and other wild animals like chinchillas, frogs, hedgehogs and prairie dogs are also not appropriate as classroom pets. Rabbits – a popular choice in many schools – do not adjust well to life in a classroom, according to the House Rabbit Network. Rabbits like a quiet environment, are easily stressed by loud noises, and generally, do not enjoy being picked up and held. In addition, rabbits bond with their caretakers and experts say they can literally “die of a broken heart” when left alone in a dark room for hours, which often happens at the end of the school day. As a result, rescue groups across the country receive many calls during each school year from teachers wanting to “replace” a young (1-2-year-old) classroom rabbit who has died. By contrast, a rabbit who is living in a home environment can often live up to 8 or 12 years. So what animals do make for good classroom companions? 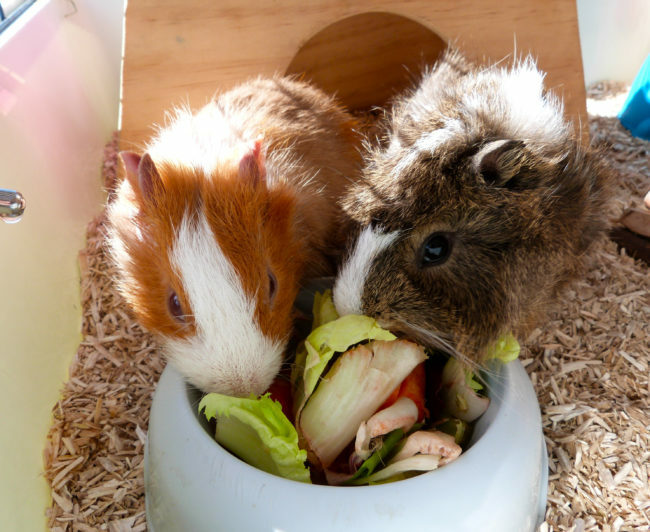 Some animal welfare organizations believe that guinea pigs, mice, rats, gerbils and goldfish are suitable classroom pets but only if the teacher takes responsibility for the animal’s care and acts as a humane role model, enforcing rules for how the animals are treated and cared for in class. Most teachers who participate in the Pet Care Trust grant program make taking caring of the classroom pet a privilege for students. Students earn the right to take care of the animal during school hours and at home during school breaks. Many teachers tell the trust that their students compete for this privilege. Lucia, who teaches humane education classes in schools, believes that fish (never saltwater unless they are adopted due to the inhumane nature of this business) make the best classroom pets. She urges teachers to consider the benefits of having a classroom aquarium. Humane educator Doriane Lucia encourages teachers to adopt a pair of guinea pigs for the classroom. For teachers who are not interested in aquariums but still want a classroom pet, Lucia recommends a pair of guinea pigs but “only if the teacher is confident in his/her ability to properly teach children about the needs and responsibilities of caring for these pets.” She encourages teachers to adopt guinea pigs from a local shelter or rescue group and to include their students in the process. “Taking students to the shelter and including them in the adoption process is an excellent educational tool to show the kids how many animals need homes and why we should refrain from purchasing pets,” Lucia said.